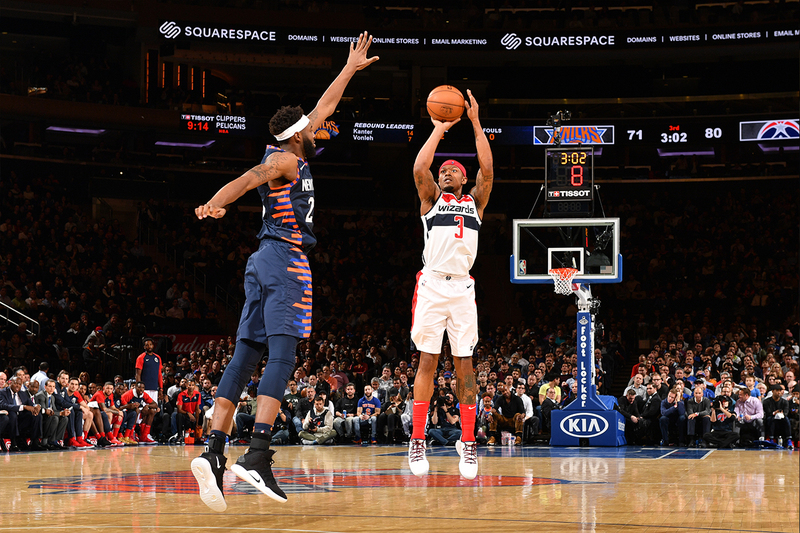 Bradley Beal shined bright under the radiant lights inside basketball’s biggest stage, Madison Square Garden, leading the Wizards to a 110-107 victory over the New York Knicks on Monday night with a team-high 27 points to go along with eight rebounds and seven assists. 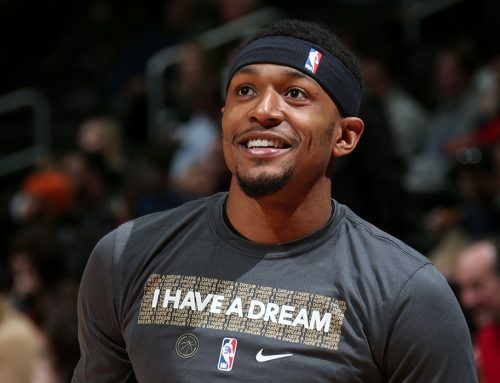 All players dream of big games at the historic venue, and Beal did not want to disappoint the crowd on Monday night. 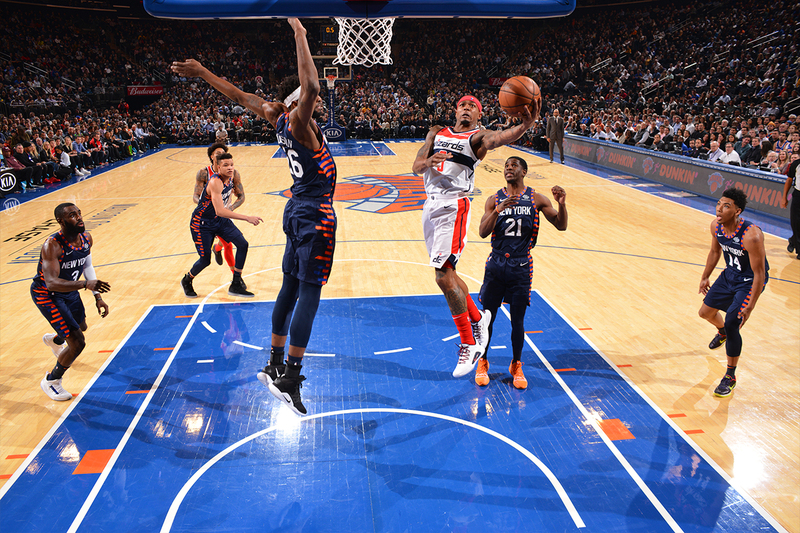 Beal caught fire early and racked up eight points on 4-for-6 shooting in the first quarter, including a nifty layup as time expired, cutting the Knicks’ lead to six. 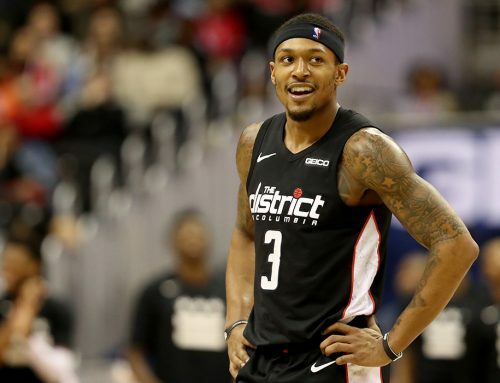 Beal was isolated at the top of the three-point line when he faked a drive left before spinning around on his defender, driving through the paint with his right and switching hands mid-air for a left-handed layup in order to avoid the weak side defense. In the second quarter, the Panda added seven more points, but the Wizards trailed 61-52 at the conclusion of the first half. 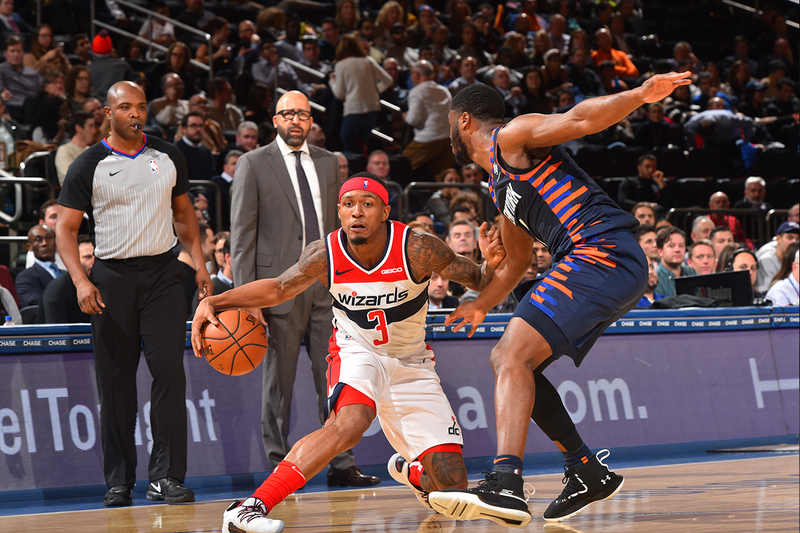 Beal opened up the scoring in the third quarter thanks to another skillful move, this time a step-back three. He created separation from his defender by taking two dribbles heading left at the top of the three-point line before hesitating for the shot, dribbling to his right, going back to left and stepping back for a three, leaving his defender unbalanced as he rose up for the triple. That play sparked a 20-4 run in the quarter that was capped off by two consecutive buckets by Beal, a 27-foot three-point jump shot in transition and an alley oop dunk off of a pick and roll, both assisted by John Wall, giving Washington a 72-65 lead with 5:34 remaining in the third quarter. 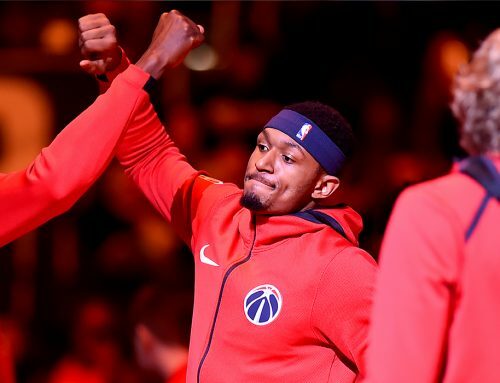 In the fourth, Beal made his impact felt as he stepped back onto the court with 8:49 left, quickly converting an open layup off an inbound play and extending the Wizards’ lead to 95-84. Washington appeared on its way to a second consecutive victory up 107-95 with 3:17 remaining after Markieff Morris nailed a shot assisted by Beal. But the Knicks fought back by going on a 12-0 run, cutting the Wizards’ lead to three with 35 seconds left. But Beal wasn’t leaving The Garden without a victory. With 16 seconds remaining, Beal attacked the basket dribbling right before going behind his back to his left at the top of the key and drawing the attention of three defenders. He rose up for a step-back jump shot when out of nowhere he passed the ball to a wide-open Wall who drilled a game-clinching three, starting the Wizards’ four-game road trip with a win. Next up for the Wizards, they will head to Atlanta for a matchup with the Hawks. The game can be watched on NBC Sports Washington. Tip-off is scheduled for 7:30 pm ET.